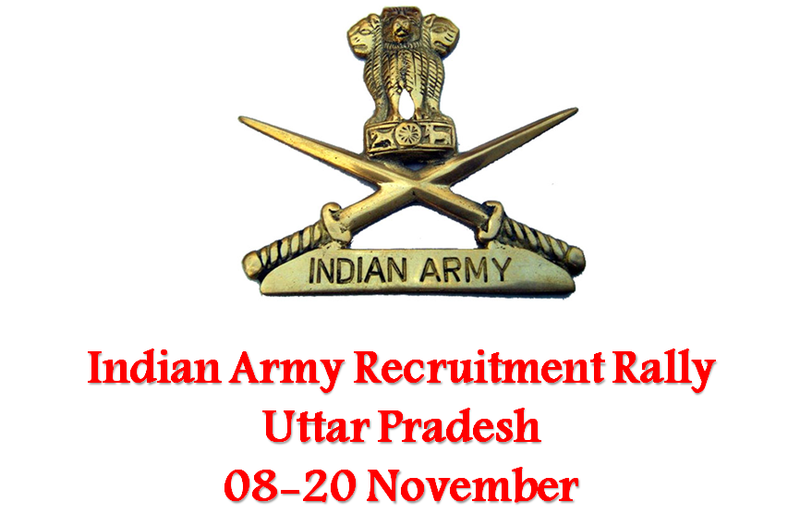 Army recruitment rally for six districts in UP is going to begin from 08 November. Applications for the 13 day long army recruitment drive will be accepted till 22 October. Candidates aspiring to join Indian Army have a great opportunity in their way. Online application intake process has begun Uttar Pradesh. The army recruitment rally will be held for six districts of UP namely Mainpuri, Mathura, Hathras, Firozabad, Aligarh and Kasganj. The recruitment rally for JCO/ OR enrolment will be held at Eagle Ground Mathura till 20 November. Candidates with minimum eligibility criteria of matriculation can apply, though eligibility criteria differ for various trades and disciplines. Relaxations in terms of age, physical standards, bonus marks, etc will be available to the candidates as per their eligibility in satisfying the relaxation norms. Army recruitment rally has set standard eligibility norms for various regional zones in the country. The entire country has been divided into six regions namely; Western Plains Region, Eastern Plains Region, Central Region, Southern Region, Western Himalayan Region and Eastern Himalayan Region. As a part of the recruitment process candidates will be selected on the basis of their performance in physical fitness test and aptitude test. This will surely be a great opportunity for all army aspirants of Uttar Pradesh. 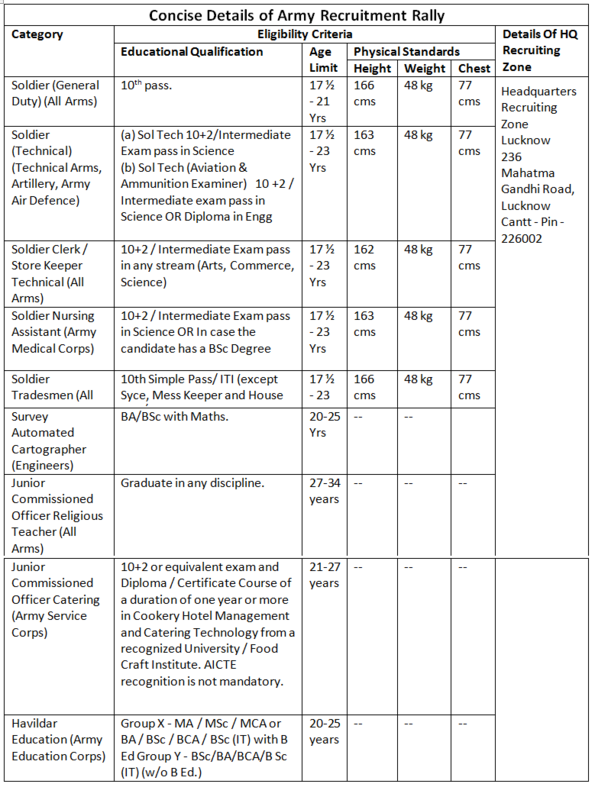 Interested and eligible candidates are required to apply at joinindianarmy.nic.in.